On Wednesday afternoon the Royal Astronomical Society hosted a reception for AAS-meeting attendees who also happen to be RAS members. 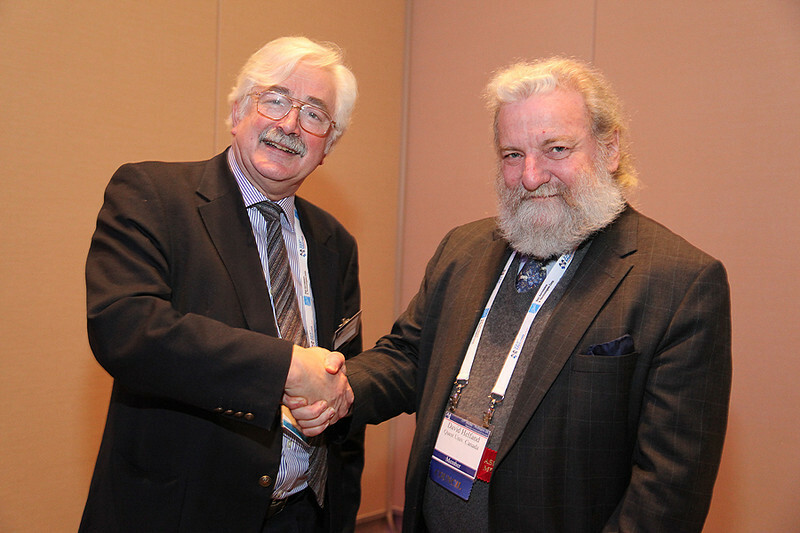 Here RAS President David J. Southwood shakes hands with AAS President David J. Helfand. AAS photo © 2014 Joson Images.